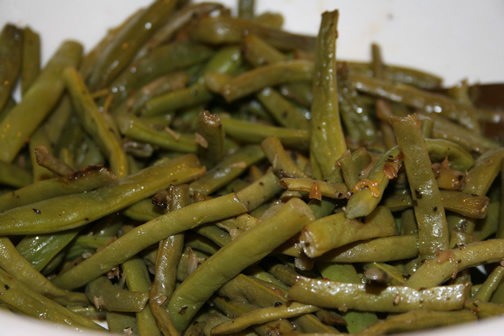 Corey picked a ton of green beans out of the garden the other day, so I thought we should try a new recipe. These were fabulous! 1. In a large bowl, toss together beans, shallots, water, oil, soy sauce, and basil; set aside. center of foil. Bring together 2 opposite edges of foil; seal with a double fold. Fold remaining edges together to enclose the beans, leaving space for steam to build. 5 minutes more or until beans are just browned and crisp-tender, stirring occasionally. 4. To serve, transfer beans to a large serving bowl. Season to taste with sea salt. These look so good...as does the black bean soup! Beginning August 5, I will be hosting Crock Pot Wednesdays at diningwithdebbie.blogspot.com. I hope you will join me there. There are some great giveaways for this inaugural event.